This ceremony took place in early November 2010. 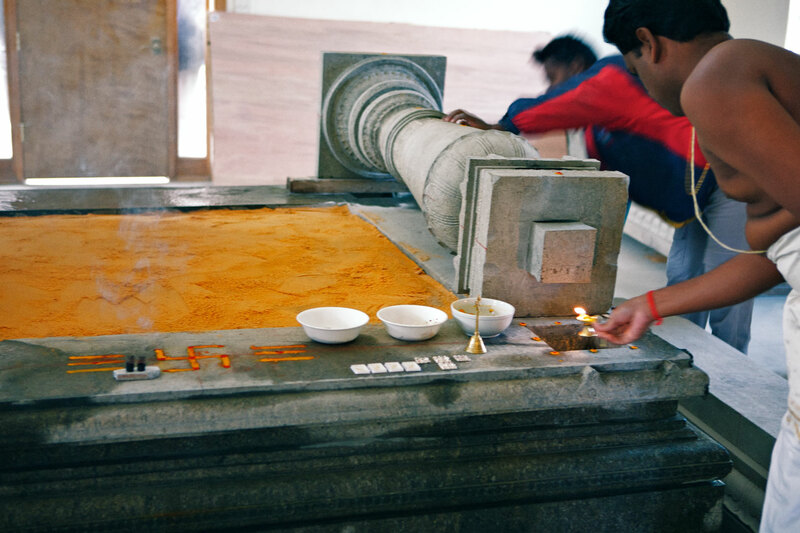 The installation of a golden box containing valuable gems, herbs and grains is traditionally placed into the wall of the main sanctum, as prescribed by the Vedas. 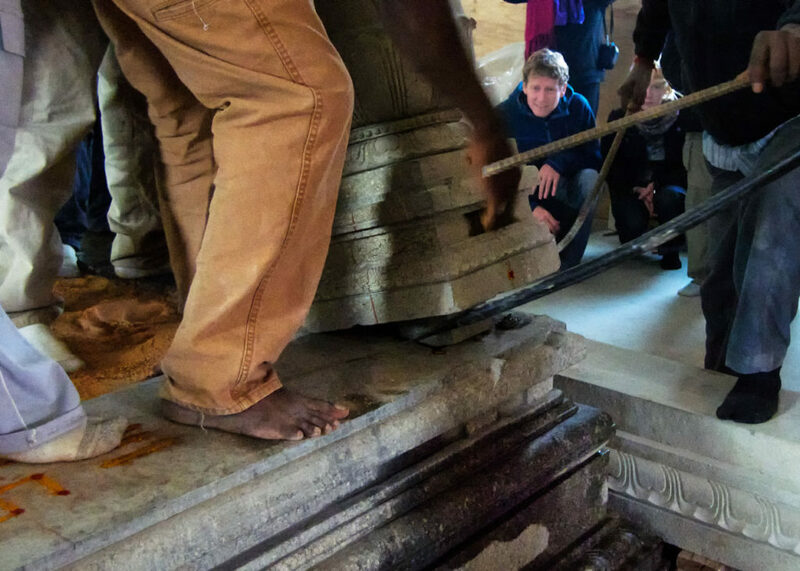 Because the walls of the main sanctum were already completed, the gem plates and five metals were placed underneath each of the four pillars of the Inner Sanctum (Shiva shrine) just prior to standing the pillars. This is a very important spiritual ceremony in which the embryonic form of vibrating cosmic energy is installed in the Main Sanctum. 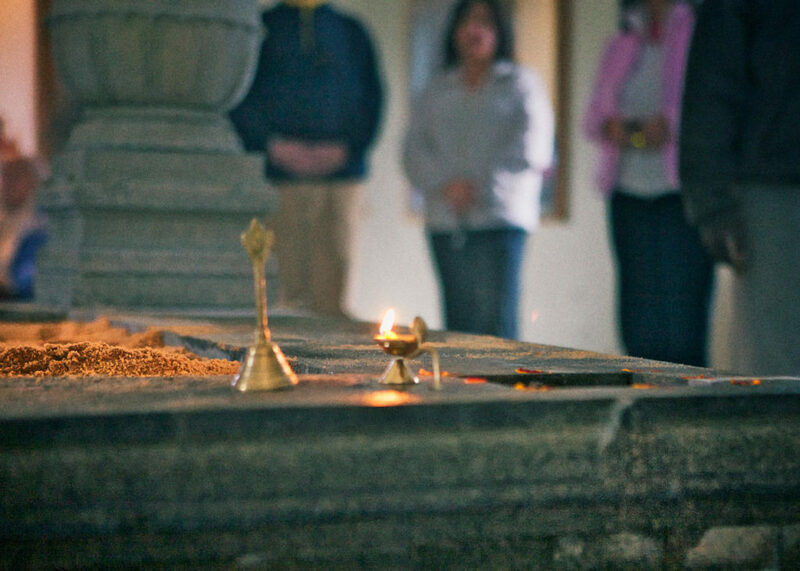 The walls of the Main Sanctum represent the womb of the Universal Creator. Please Note: The walls of the building delineate the Main Sanctum whereas the Shiva shrine delineates the Inner Sanctum. 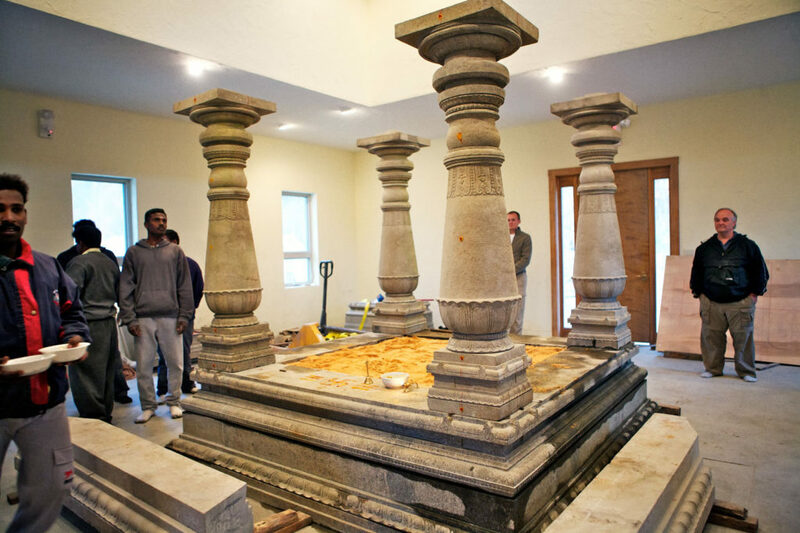 There is also a YouTube Video of the Garbhanyasam Ceremony.